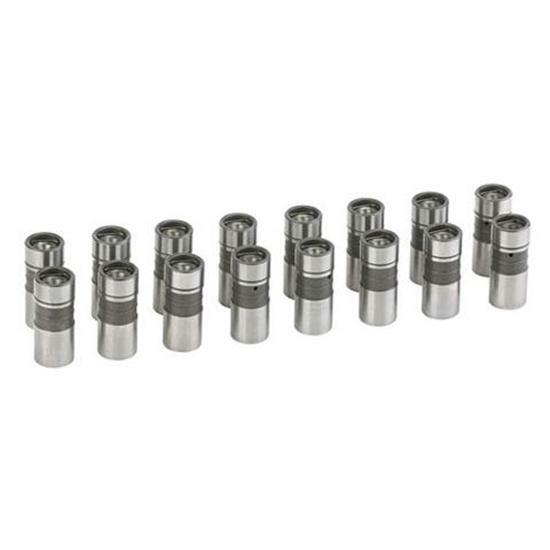 It's not uncommon to pick up 2-3" of vacuum under 1500 RPM just by using these lifters. Normally see 25% or more increase in low-end horsepower for performance hydraulic cams. Lifters bleed down slightly at idle and lower RPM, causing a reduction in valve duration of approximately 10° to 15°, and reducing valve lift .020" to .030" at idle. Set of 16. All 1955-86 Chevy V8.